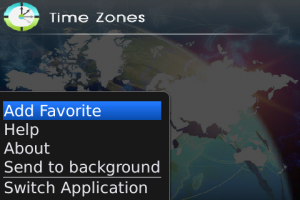 TimeZones enables you to check any timezone for any city and also can bookmark your favorites. Check the timezone for a selected city. Bookmark up to 3 cities to be always displayed in the main screen. Access the TimeZones quickly and easily by using the shortcut EscapeEnd call keys simultaneously.